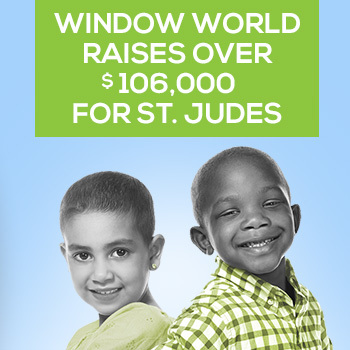 Window World of Central Illinois is locally owned and operated in Springfield, IL. The store, located at 6200 S. 2nd St., Unit B, Springfield, IL, serves homeowners in the counties of Champaign, Christian, Coles, Cumberland, DeWitt, Douglas, Edgar, Effingham, Logan, Macon, Menard, Morgan, Moultrie, Piatt, Sangamon, Shelby and Vermillion. For more information about Window World of Central Illinois, visit www.windowworldcentralillinois.com or call (217) 544-0400. I would like to receive the latest news and promotions from Window World of Central Illinois. The reason I am so impressed with this company was the technician Adam. He made sure that I was happy with the progress every step of the way. He was very friendly and that goes a long way when you have someone in your home. Excellent job Window World! I had a great experience! Windows World as well as those who installed my windows were all extremely nice, professional, and answered any questions I had!! Definitely recommend them to anyone in need of new windows! Thank you so much! The crew replaced 12 windows in my home in under 4 hours and they look absolutely amazing. A few days later they showed up first thing and started my siding. The siding looks fantastic. I am literally excited about the exterior of my home now. Great Job! !